Written & Produced by Ed DMX. 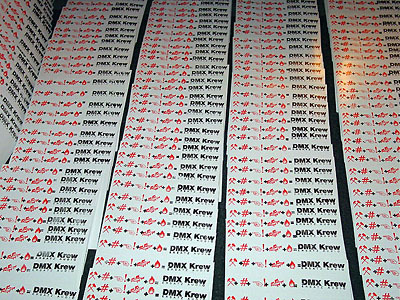 DMX Krew is a guy called Ed DMX from London. Ersatz Audio and Ed DMX have been working together for many years now. Ed DMX did a Le CAR remix for (EZ-012) Le CAR: Remixed in 2000, and Ersatz Audio's ADULT. did a remix for K-Rock on Ed DMX's label Breakin' Records around the same time. Since around 1997, various Ersatz Audio artists and various Ed DMX pseudonyms have appeared on countless third party compilations together, including the new Ghostly International compilation "Disco Nouveau". 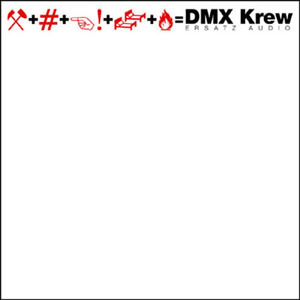 A new DMX Krew track "Touch Me!" appeared on the recent Ersatz Audio compilation "Misery Loves Company", but only on the CD version of the compilation... until now! DMX Krew's new 12" on Ersatz Audio finally features the highly sought-after "Touch Me!" on vinyl from the "Misery Loves Company" CD, as well as 4 other brand new striking songs. DMX Krew describes his music ideology as "never following trends, but forging his own musical direction." That makes for a match made in heaven between DMX Krew and Ersatz Audio. DMX Krew is a veteran and global tone-setter with 4 albums under his belt on Rephlex Records, and numerous singles on labels including International DJ Gigolo, Pharma, Breakin' Records, and Chicks On Speed's Go Records. He has also done many remixes including G.D. Luxxe, Cylob, Biochip C, Gentle People, and Beanfield, among others. 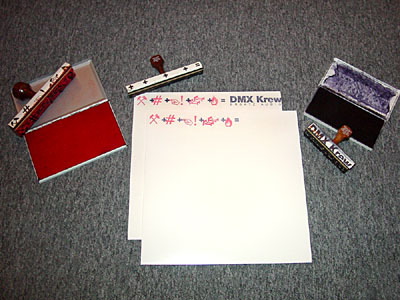 Ed DMX records under various pseudonyms, including Computor Rockers, EDMX, and of course DMX Krew. This 5 song 12" showcases DMX Krew's stunning arrangements, with his attention to detail, his singable melodies, and his infectious rhythms. Packaged in an Ersatz rebus-designed hand-stamped jacket.